Dr. Chris Bustamante, Ralph Romero, and Kendal Blust. 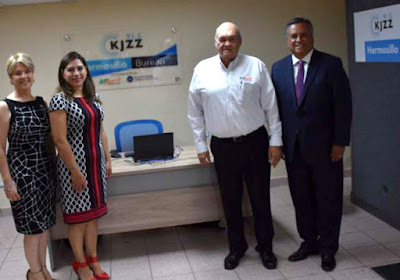 Rio Salado’s member-supported NPR station KJZZ 91.5 FM hosted a ribbon-cutting ceremony on July 10 to celebrate the official grand opening of its news bureau in Hermosillo, Sonora Mexico in a partnership with the Universidad Tecnológica de Hermosillo. Martinez, UTH Chancellor Adalberto Abdalá Calderón Trujillo and Dr. Bustamante. 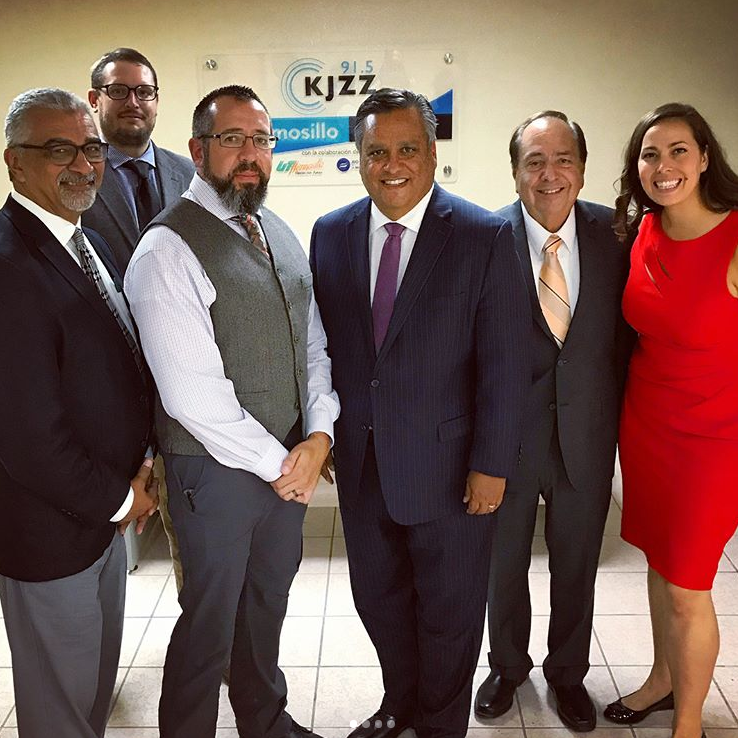 The news bureau, which is located on the Universidad Tecnológica de Hermosillo campus, will help the KJZZ Fronteras Desk team expand its coverage of the fast-growing market between Arizona and Mexico-- providing listeners with information to help them better understand economic globalization and its impact on the Southwest. “There are so many news stories that are left untold – stories that don’t often reach the residents of our communities,” said Rio Salado President Chris Bustamante, who joined members of the KJZZ news team for the grand opening. “The goal of creating a KJZZ satellite news bureau in Hermosillo is to increase awareness by providing individuals with the information they need to better understand globalization and its economic impact, especially as it relates to our respective regions of the world,” Bustamante said. 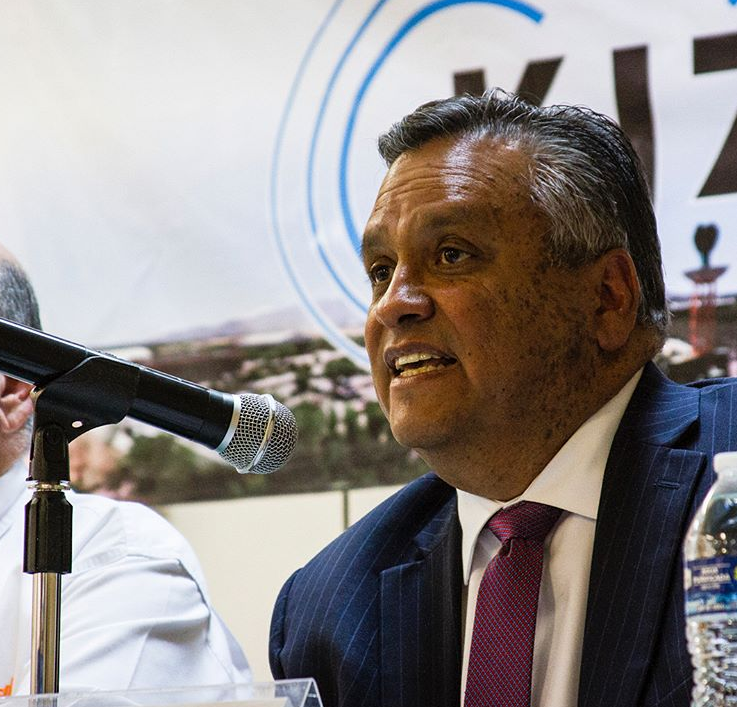 The Hermosillo bureau will cover the rapid expansion of trade between Sonora and Arizona, the growing overseas shipping industry on Sonora's shores and the impact this is having on U.S.-Mexico trade and on Arizona. 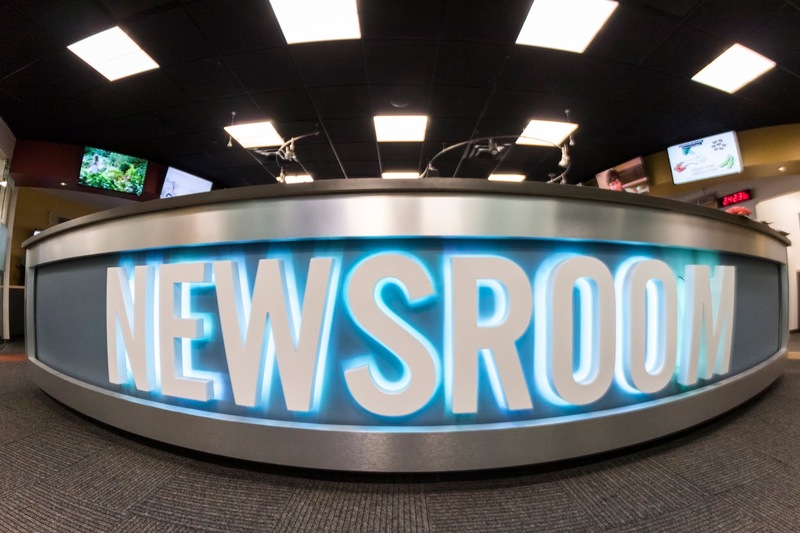 KJZZ reporters Kendal Blust and Murphy Woodhouse have been assigned to cover these stories. The bureau will also serve as a training ground for students who aspire to be journalists, providing hands-on experience to support the learning they receive in the classroom. The Hermosillo news bureau will complement the efforts of KJZZ’s Mexico City news bureau. With its two international bureaus, KJZZ is now the only NPR member-station with an established presence in Latin America. KJZZ is a community service of Rio Salado College, licensed to the Maricopa Community Colleges.